Since the early 1900s, Whychus Creek ran dry in two out of every three years due to irrigation diversions. Through a combination of water conservation (i.e. piping) and both permanent and temporary water transfers, the creek is now well on its way to achieving the flows necessary for reintroduced steelhead and salmon. Continued investments in streamflow projects will also have a direct effect on other indicators of river health, such as improved habitat availability and lower water temperatures. 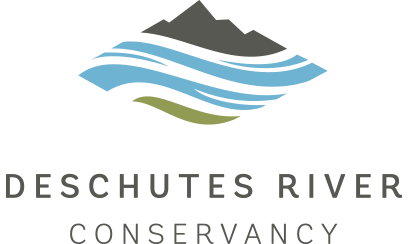 In 2007, Portland General Electric and the Confederated Tribes of Warm Springs began a historic program to reintroduce anadromous fish in the Deschutes Basin. The reintroduction program, supported by more than 20 partners, is the largest anadromous fish reintroduction program on the West Coast. 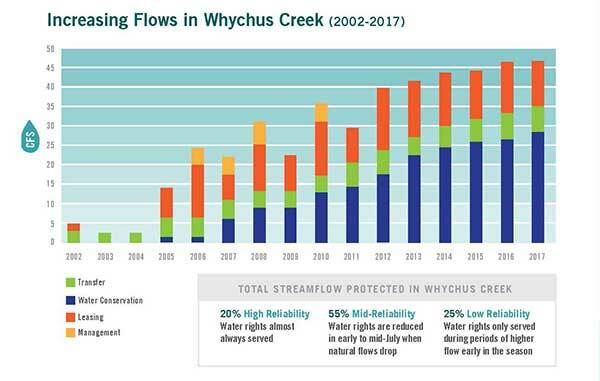 Whychus Creek plays a critical role in this effort given its historic importance as a steelhead-producing stream, however, at the time of reintroduction, much of the historic habitat on Whychus Creek could not support successful spawning, rearing, or migration. DRC and its partners have since focused on collaborative efforts to restore the entire structure and function of the creek through streamflow restoration, habitat restoration, and land conservation projects. Next article: Thank you for visiting us at Bend Brewfest!